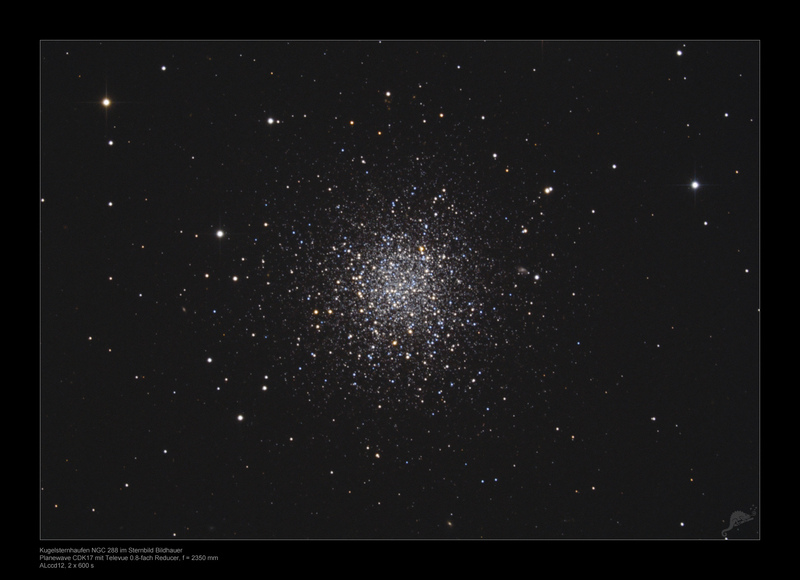 The globular star cluster NGC 288 in the constellation sculptor is located at a distance of about 29000 light years. 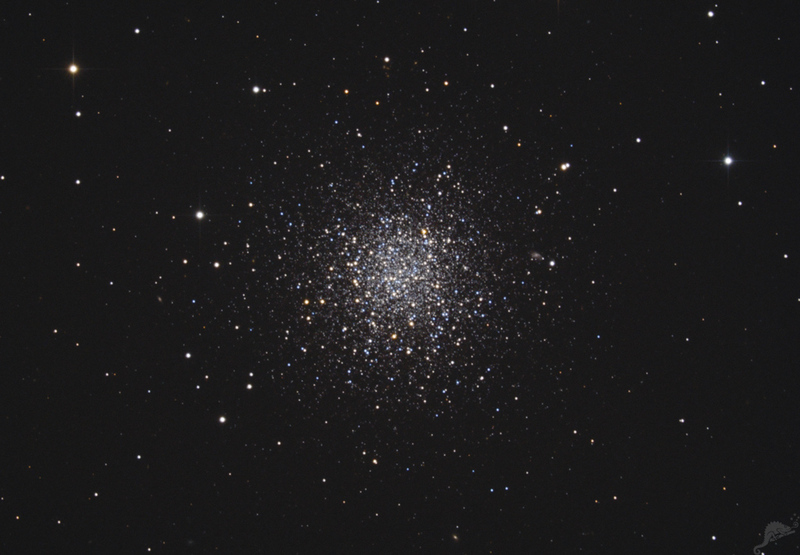 In contrast to many other globular clusters, NGC 288 is very loosely concentrated towards the center and the core can be very well resolved. Its total mass is just about 45,000 solar masses. The diameter in the sky is 12 arcminutes, corresponding to 100 light years. 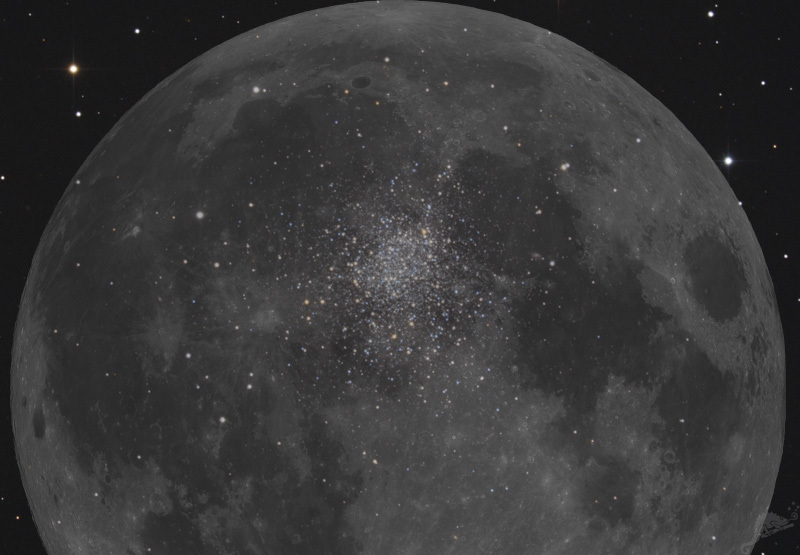 The bright core area occupies the innermost 3 arcminutes and has a diameter of 25 light years. The three brightest of the small background Galaxies are PGC 3068, PGC 3083 and LEDA 173054. The left image show a comparison of NGC 288 to the size of the full moon. Please cklick here to load a larger image.